Another 3 days off work trying to get something done in the mountains. 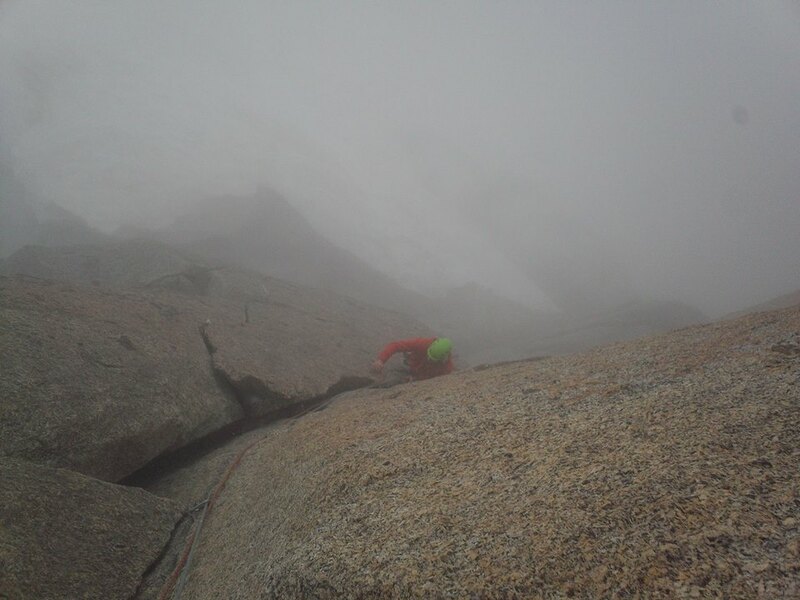 After bailing on John last week due to a very stiff ankle after Mont Blanc traverse we headed up the Midi at 7am with the intention of climbing the classic Rebuffat route on the south face of the Midi, about 5c/6a. The weather forecast said 60% sunshine, this turned into hail and cloud! 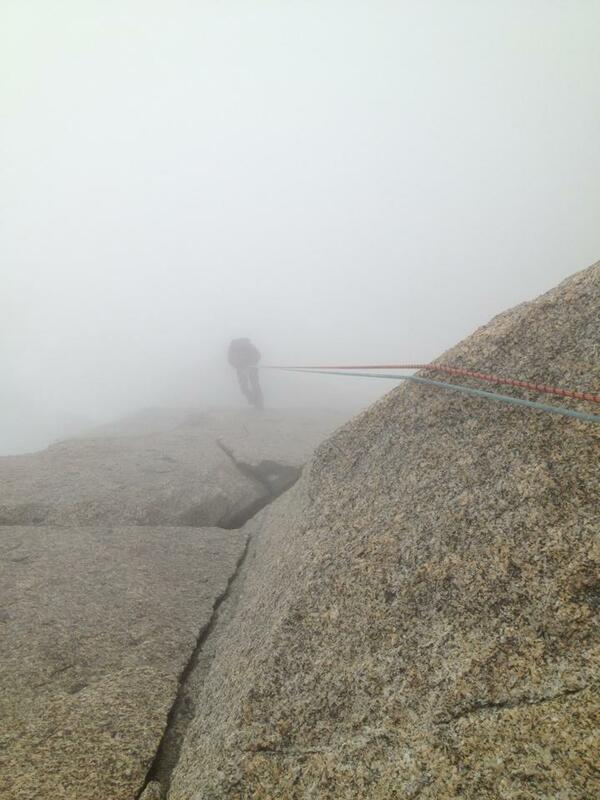 As we got to the start of the route the rock was quite dry and we decided to give it a go regardless. John headed up first and as he was half way up it started to hail. I decided to give it a go seconding as we had come all this way, and it was my first time climbing this type of rock, in a crack with hail falling on wet rock! It was a challenge to say the least. We completed the first pitch despite me wanting to stop a few meters below the bolts and just rap from there, But John made me come to the bolts even with my frozen hands! Still with a smile on my face! The top of the first pitch is not double bolted and we had to rap through a single bolt with some tat which was unnerving as John said try not to bounce around as its not that good! John stayed at the top station for acclimatisation and I headed back down to town. 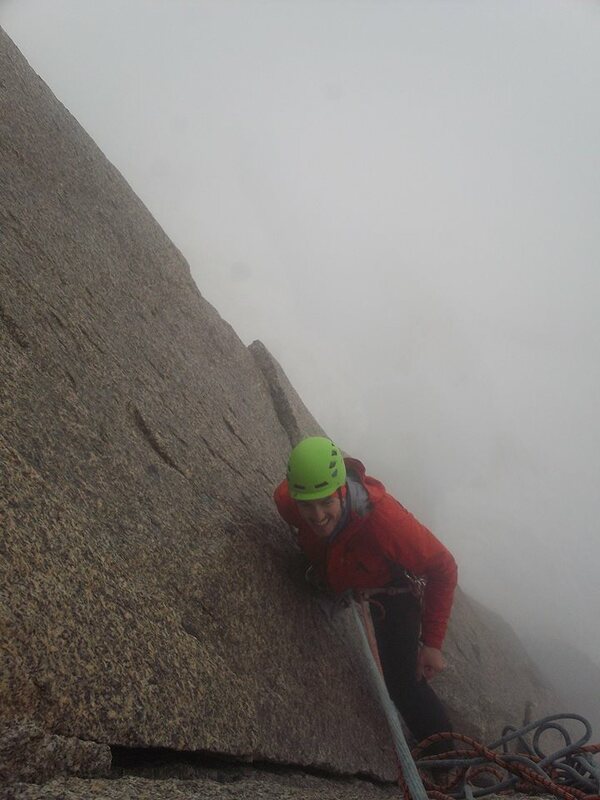 Yesterday I headed down the very popular Gaillands crag in Chamonix with my housemate Stef, I had not climbed in the Frendo area and we went to give it a go. The route I chose looked nice and cruisy but it was a 5+ and it was quite desperate and I struggled on up with the final very exposed move being quite tricky. 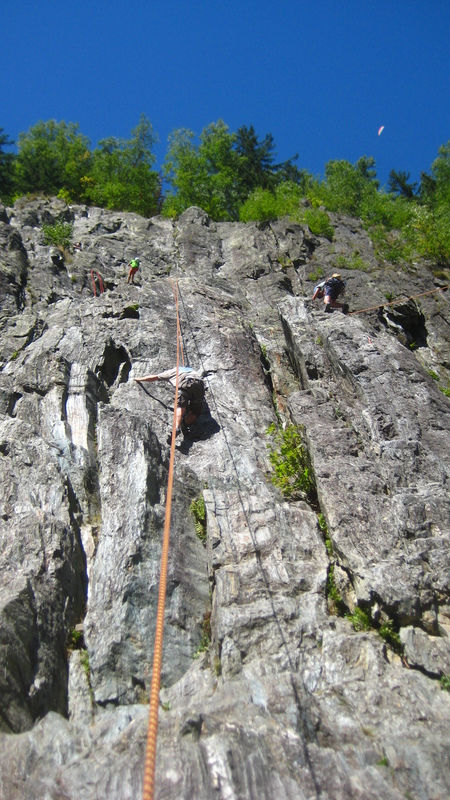 The rope then became stuck on the way back down resulting in me having to walk all the way up to free it before Stef had a go seconding. 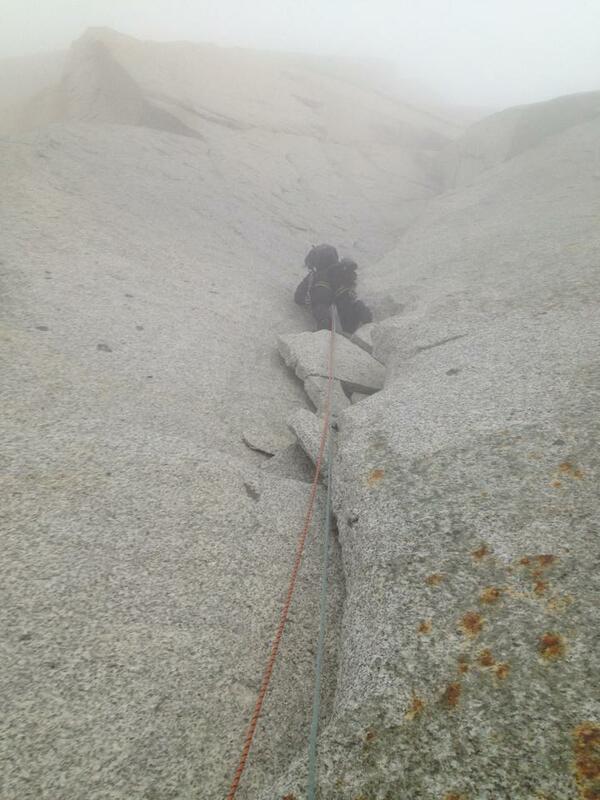 We then did a nice small flake on the left hand side of the main crag. Its 5c and is fun and quick. It wasn’t that busy there considering it was a lovely hot day. Hopefully next week I will get something a little bigger and more challenging done, more rock I think!